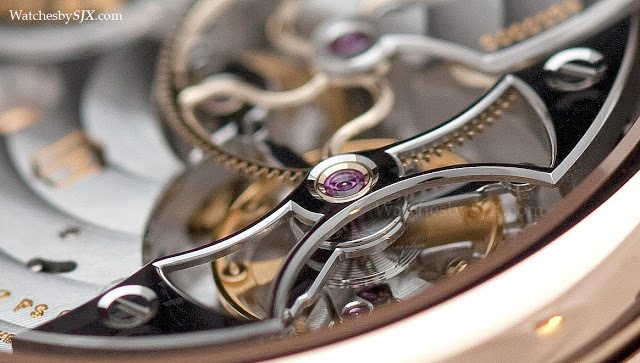 Equipped with minute repeater, tourbillon and perpetual calendar, the ref. 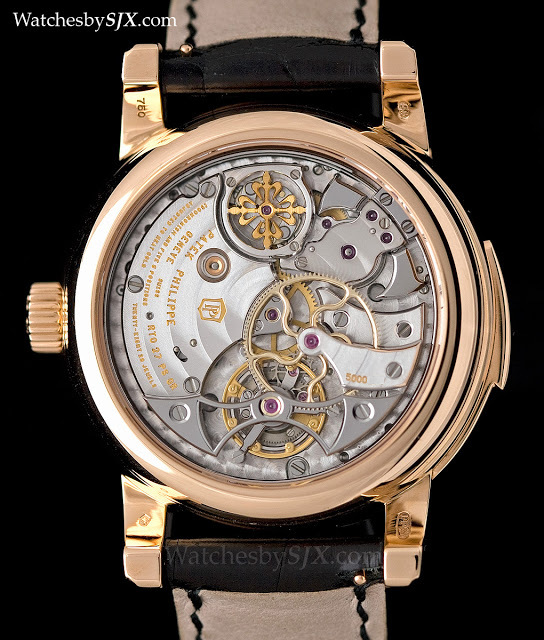 5016R Grand Complications was the most complicated Patek Philippe wristwatch until the introduction of the Sky Moon Tourbillon ref. 5002. Production ran from 1993 to 2010 or 2011, and in that 17 or so years around 200 were produced. In its time it was a special timepiece, amongst a handful that were so complicated. Today the 5016 is not nearly as unique in the sphere of high complications, but it still remains an amazing watch. 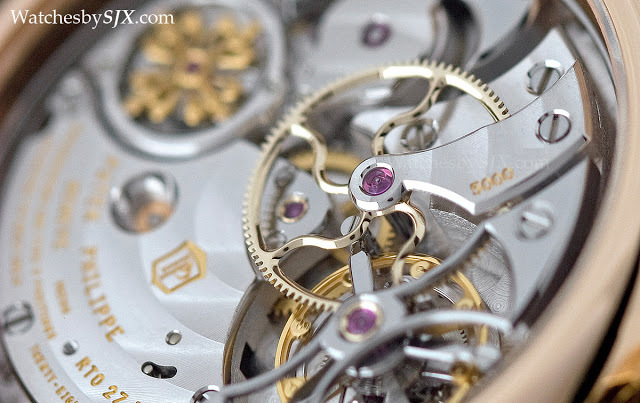 The 5016 is a rare and beautiful watch. 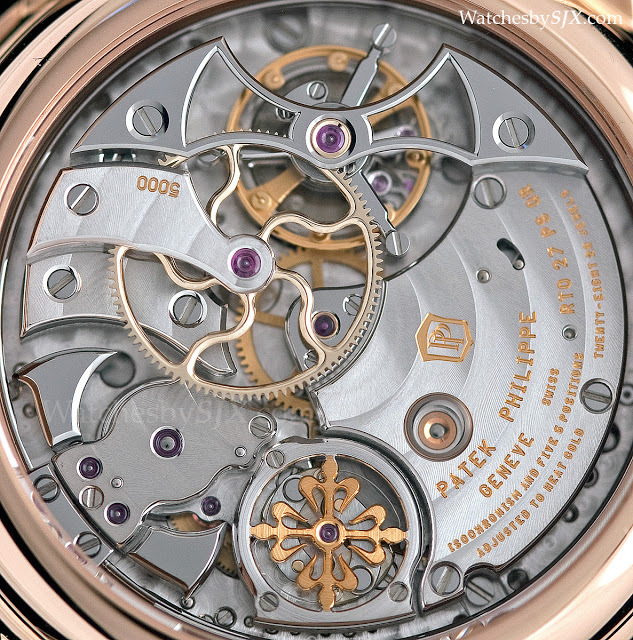 With its 36.8 mm case, the Patek Philippe ref. 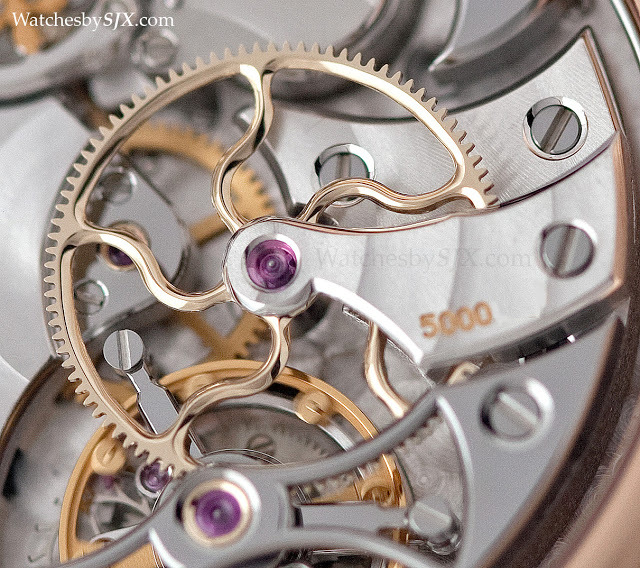 5016 is a subtle grand complication. 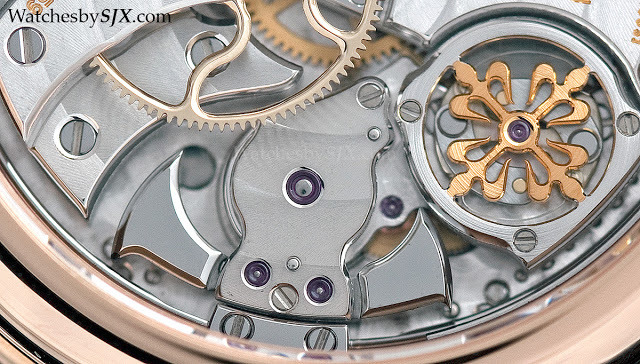 Its proportions are perfect, the movement size is a perfect fit for the case, unlike the new complications which have similarly sized movements in much larger cases. Pictured here is one of the last few ref. 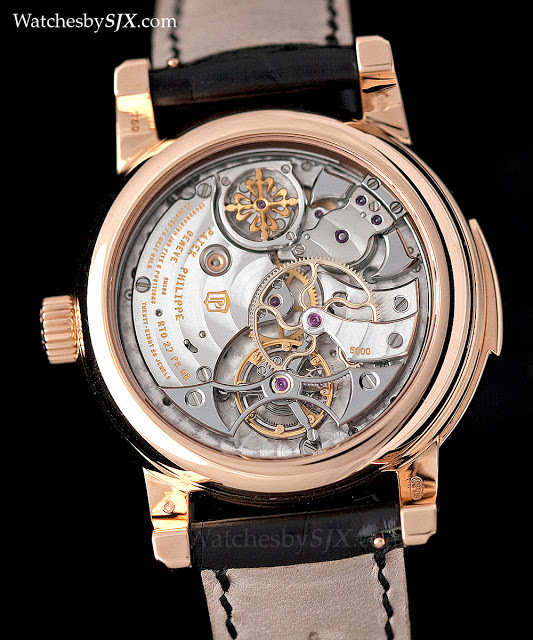 5016 watches made, all of which had the Patek Philippe seal, rather than the Geneva Seal, and also had serial numbers starting with “5000XXX”. 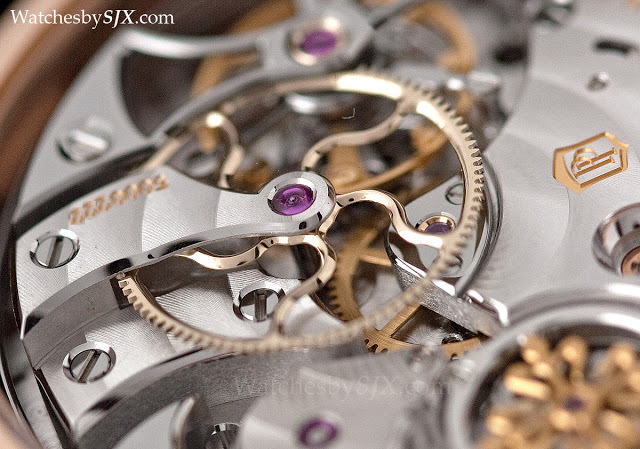 Earlier 5016 watches with the Geneva Seal were numbered “1905XXX”. 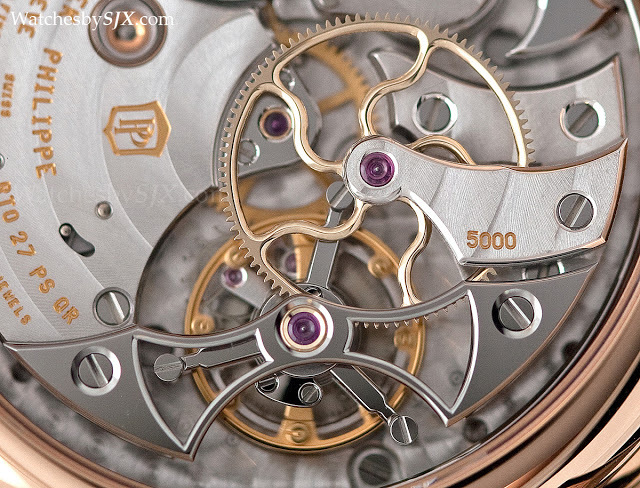 Both series of watches were numbered on the dial as well as movement as with all Patek Philippe tourbillon watches. 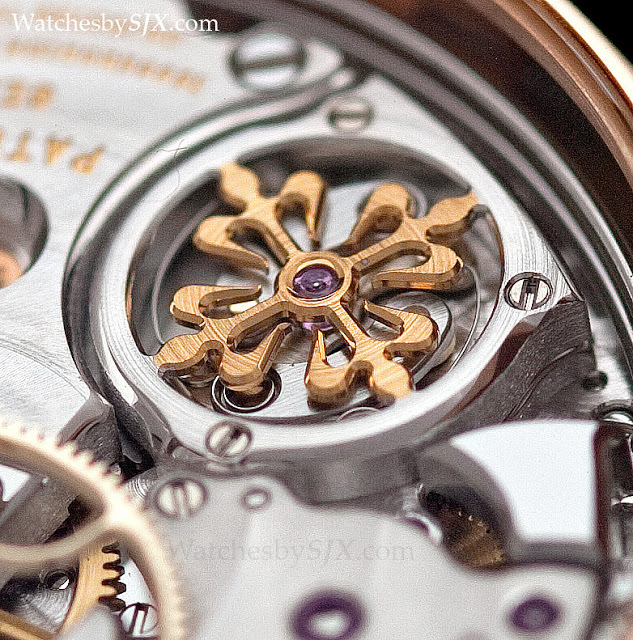 Unlike the current Patek Philippe offerings with silicon bits like the ref. 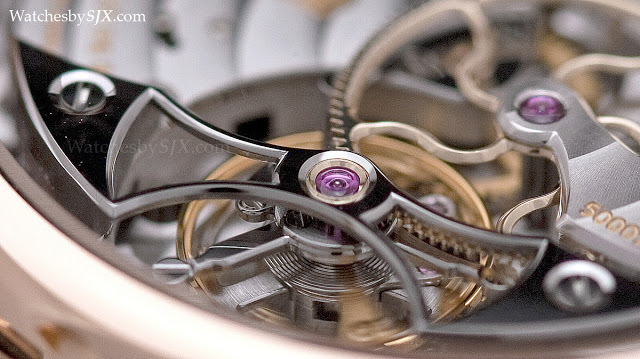 5550P, the caliber RTO 27 PS QR (Repetition minutes, TOurbillon, Petit Seconde, Quantieme Retrograde) inside the 5016 is pure tradition. The finishing is peerless. 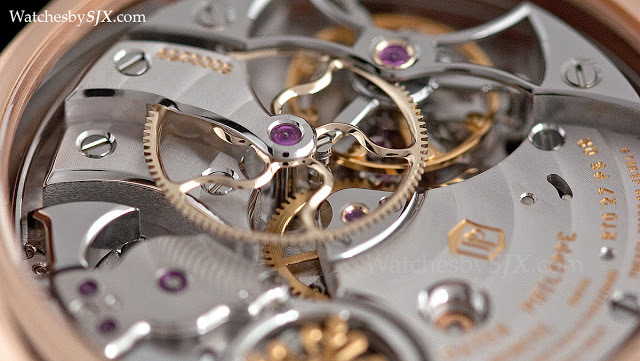 It demonstrates why Patek Philippe, at least for its grand complications, is at the top. Cartier and Piaget for instance make minute repeaters with technically flawless finishing, but they lack the artistry of the Patek. 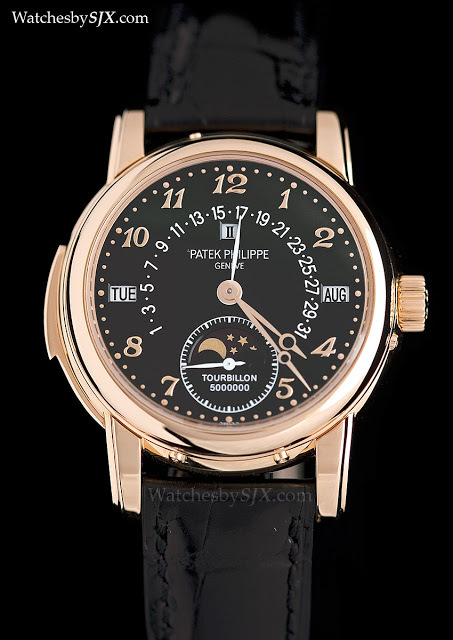 To be fair Patek repeater costs significantly more than comparables from the competition. The most delicious detail of the 5016 is the centre wheel with its rounded and polished spokes shaped like an octopus. And if one has to nitpick, the obvious shortcoming is the machine applied bevelling for the Calatrava cross of the repeater regulator; notice its rounded rather than sharp corners.